The Sounders FC will play its first reserve match of the season as it travels to the U District to take on the University of Washington at Husky Soccer Stadium. Great start to the afternoon as @hahnemann1 came over and let off the bullhorn in my ear. That felt great! Still waiting on lineups but when I get them, you’ll get them. Saw the new 300 movie. RT @zag08 : @LIVESounders While we wait, what did you do to celebrate last night? HEY! Lineups! Hahnemann; Anibaba, Scott, Lowe, Gonzalez; Okoli, Rose, Pineda, Azira; Parsemain, Barrett. Taking in the Sounders-UW match from the sideline with a couple of sweet super seniors @stinescho and twitterless Kate. Sup guys?! Just making all kinds of friends today. It’s great. About 20 minutes to go before kickoff. Anddd to my left, the one and only @mattgaschk and son, Hank (rockingggg the Super Cyan). Looks like our bench will be…Ford, Estrada, Weaver, Arroyo and Kovar. Unfortunately no stream today, folks. You’re stuck with me. The teams have taken the pitch and the starting lineups are being announced. Nice crowd today, too. @zkscott is your captain. 85’ - WOW! Great save there as Weaver breaks through and tries to split the wickets but the keeper says no. Great move through the middle. 87’ - Fabio just got clattered in the middle on a head ball. He gets up. We move on. 90’ - Ohhhhh boy. Jones nearly gets through the back line but the flag goes up as he went just a bit too soon. 90’ - Jones again as he cuts inside and curls one but it was deflected out for a corner. 90+ - Three minutes of stoppage time. One and two and tres. 90+ - GOAL! UW gets one at the death to take the 4-3 lead. Header off the post is picked up by Jones who notches the hat trick! 90+ - LATE PK SHOUT! Ball going away from Weaver and the keeper takes him down but no whistle. Right call. FT - That’s it, folks! 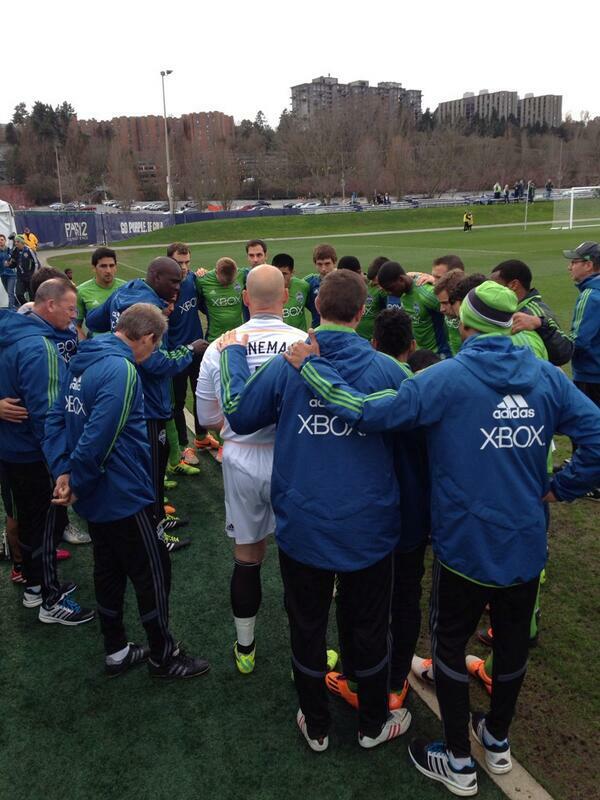 Great match as @UW_MSoccer tops the @SoundersFC reserves 4-3 on a late Darwin Jones winner.